A memorable occasion demands exceptional surroundings. For those in search of that something special, whether it is breathtaking natural beauty or the charm and finesse of the Cape Winelands, Devonvale provides the idyllic setting. Personal service and a range of exciting menus and estate wines result in a perfect combination that will ensure that your wedding day is a once in a lifetime experience. Our tastefully appointed venue, with its rustic roof and ceiling structure, soft lighting, sprung dance floor is ideal for between 80 and 150 guests. Large French doors open onto a private garden and gazebo, ideal for your ceremony. The Estate, with its lush gardens and rolling vineyards, is the perfect backdrop for your wedding photos while your guests enjoy champagne and gourmet canapés prepared by our chefs. The Lodge also offers a 10% discount for guests who may want to revel late into the night without the drive home, another good reason to stay over and relax in the peaceful environs Devonvale has to offer. 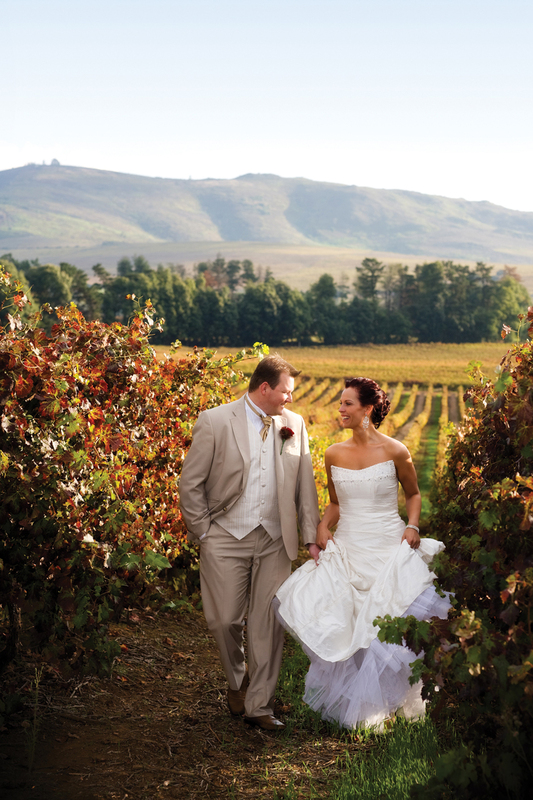 Dramatic mountain scenery, excellent service and the charm of the Stellenbosch Winelands fuse exquisitely to make Devonvale the perfect venue for your wedding day.